Aerial Work Platforms have become a favourite throughout all industries and offer a safe, affordable and speedy means of working at height. 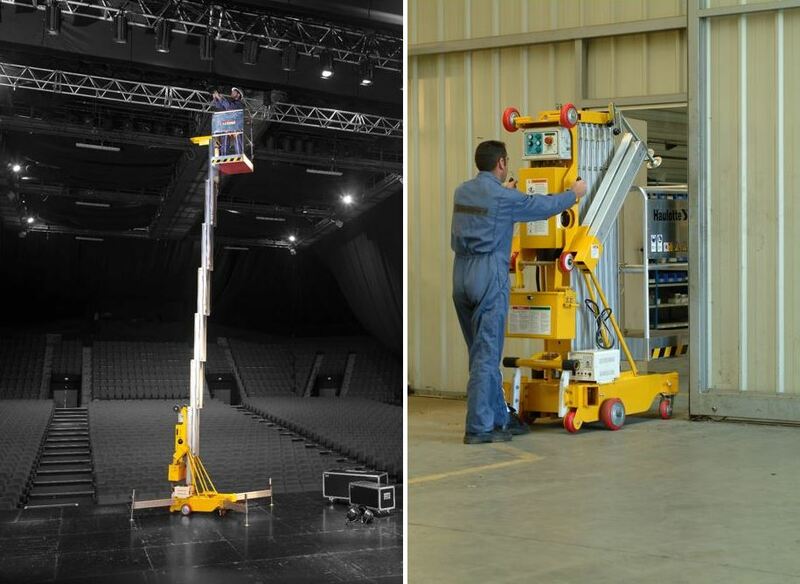 Push around Aerial Work Platforms ease of use and speed of set up has made them the ideal all-round access platform for almost any application and environment. 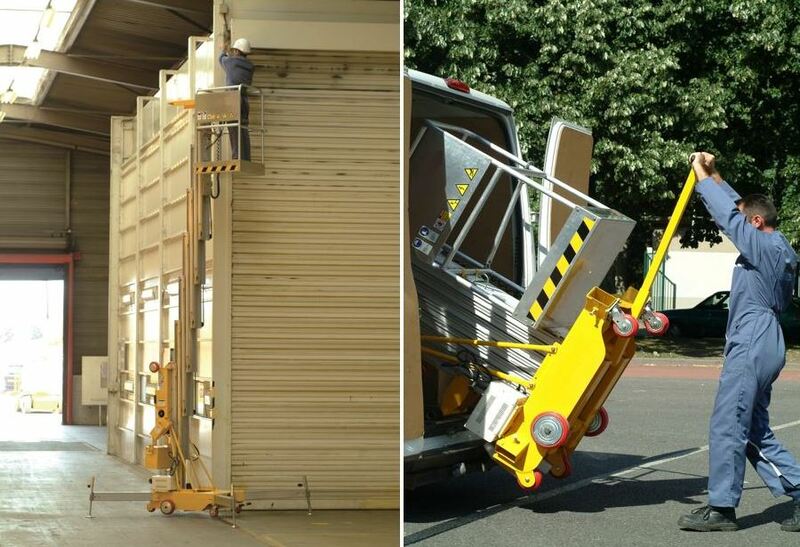 Compact, lightweight and extremely maunoverable they have become the ideal alternative to traditional methods of access such as tower scaffolds. 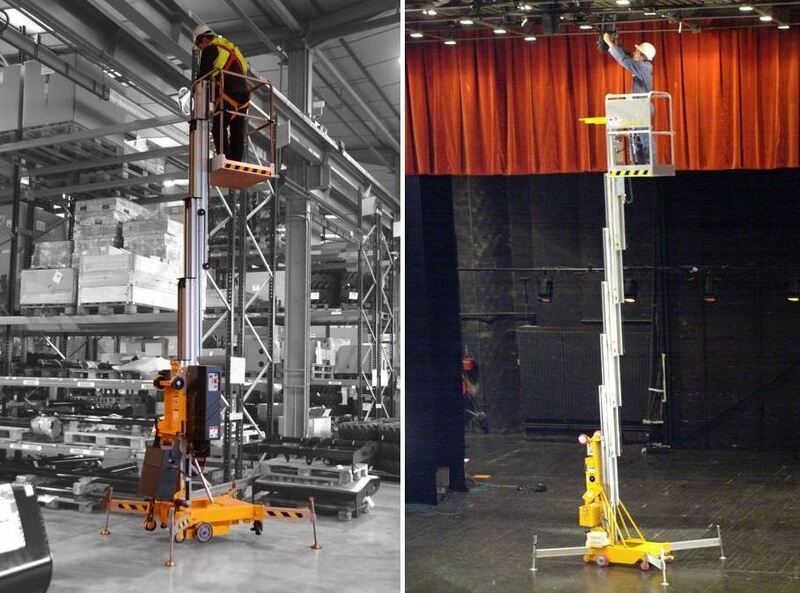 Aerial Work Platforms can easily be set up by one person and elevated to full height within minutes, getting the job done safely and efficiently. Standard non-marking tyres means they can be used on senstive flooring without marking or scuffing and being battery powered means quiet emission free operation. 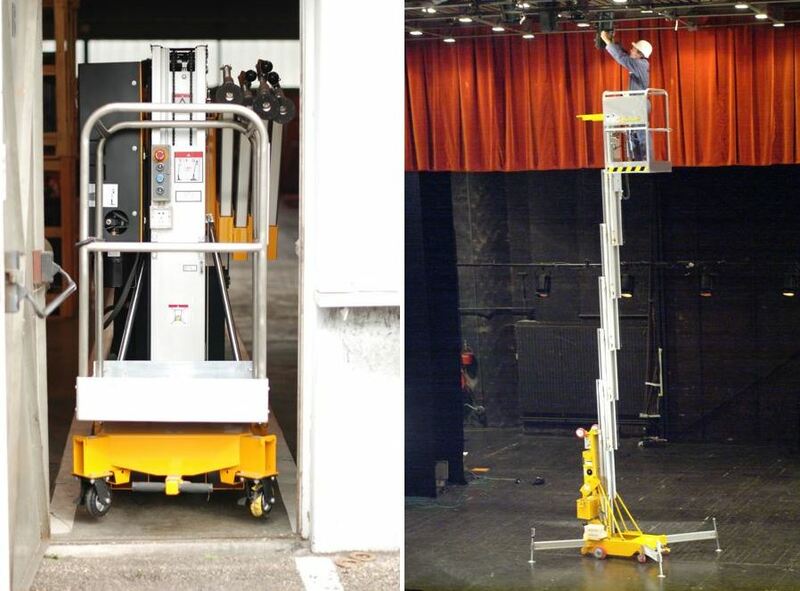 The Aerial Work Platforms low weight means it is perfect for working on floors that only support limited loads, such as sports hall flooring. 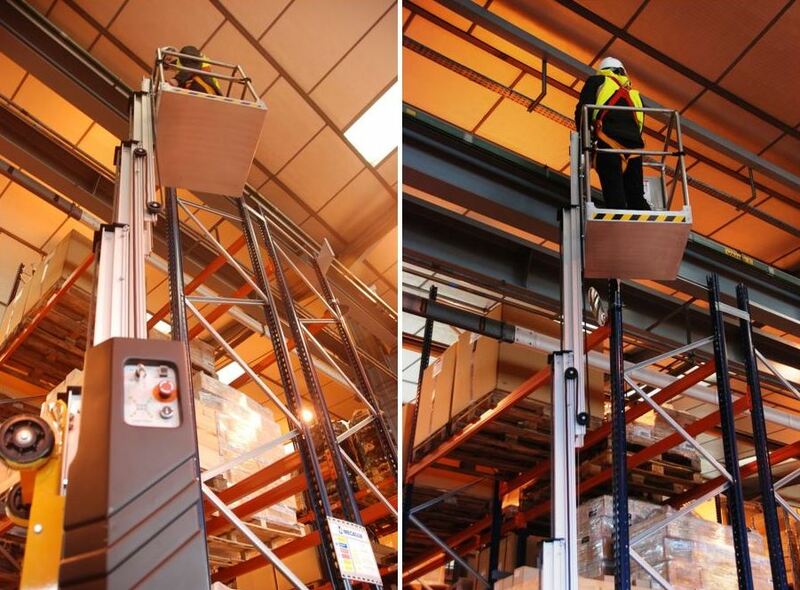 These popular access platforms really do offer an all round, highly versatile working at height solution for a wide range of applications and environments.